In exactly one year from today, we will be in Orlando checking into our house rental with our entire family. I just can’t believe its only one year away! When we first started planning our trip, we weren’t sure if we were going to stay at a Disney resort property or off property. Although I have stayed at a few of the Disney properties before, after careful consideration and budget concerns, we decided to rent a home for our trip. I knew that it would be a challenge trying to find a home to accommodate such a large group, but I was determined to find something that would really work for all of us. A few years ago, my cousin’s family was able to find a home on a website called, HomeAway.com. After searching through many home listings, I finally found the right one for us. Although we had some technical issues reserving the home through the HomeAway website, we were in constant communication with the home owner and we were able to secure our reservation. The home we are renting has 9 bedrooms and 6 bathrooms. It also has a pool, hot tub, game room and we will also have access to the community’s club house and pool as well. It looks like a great home for all of us and we are very excited about being able to enjoy it together. After reserving our rental home, I knew I had a lot of research to do as it’s has been quite a while since I’ve been to Disney. 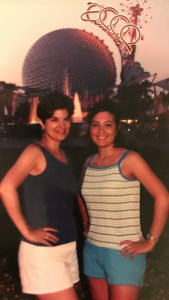 My last trip to Disney was in 2000 when my sister and I met my parents, aunt and uncle in Orlando after they had returned from taking a cruise. We all had a blast, but I don’t remember anything about FastPasses and I’m not even sure if they existed then. I decided I better start researching for our trip, so I started watching Disney vlogs on YouTube. Today I thought I would share with you my first favorite Disney YouTube channels for Disney planning. I have a few good ones so at the end of each of my Disney trip planning blogs, I’ll feature each one. One of the first YouTube Disney channels I came across was a very lovely woman named Melissa. Her YouTube channel is called PixieDust&Peaches. Melissa has a wonderful personality filled with southern charm. The first video I watched was her Disney Planner video. I was so impressed yet overwhelmed that visiting Disney would require this much planning. However, her Disney planning binder was so impressive, organized and a lot of fun to look at, I decided I would make the exact same one. She provided links to all the free printables she used as well as the products she purchased to make her binder. I’m not kidding when I tell you I was adding things to my Amazon cart as I was watching. My Disney Planning Binder turned out great! 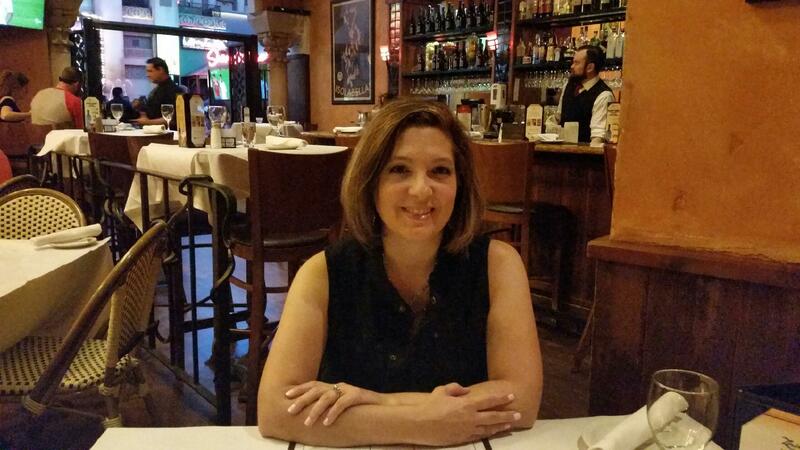 Melissa does a great job explaining all the ins and outs of visiting Disney World. Her channel is a lot of fun as she shares Disney shopping hauls, her beautiful pin collection, and Disney Mail from her subscribers around the world. She also shares her Disney Vlogs that often feature her husband and family. I highly recommend you check out Melissa’s channel for Disney planning with lots of extra fun topics as well. Have you been to Disney World recently? Did you stay on or off property? I would love to hear where you stayed and if you would recommend staying there again. Oh Joann! 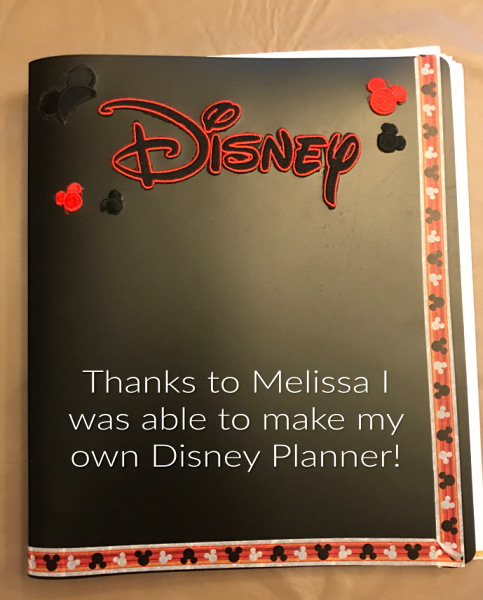 I loved seeing your planning binder for your Disney trip on Instagram and then reading your lovely post here on your blog. I’m so excited for your upcoming trip with your family. I think you’ve made the correct choice in renting a home for all of you. Your binder that you’ve made for your trip looks amazing. You did it perfect. It really helps you to stay organized. Awesome job. Thank you for the kind comments. You’re so sweet and a good friend. If you need any more help, please let me know. Thank you Melissa! You have been such a great help with my Disney planning and you know I just love your YouTube channel! I can’t wait to see your vlogs from your next Disney Vacation! I’m very happy to have found a Disney friend to share this journey with. You’re so lucky to be close to Disneyland! Your family trip sounds like it was a lot of fun, rain and all! It’s obviously a wonderful memory to have after all these years. I loved your theme song too! Thank you so much for sharing.